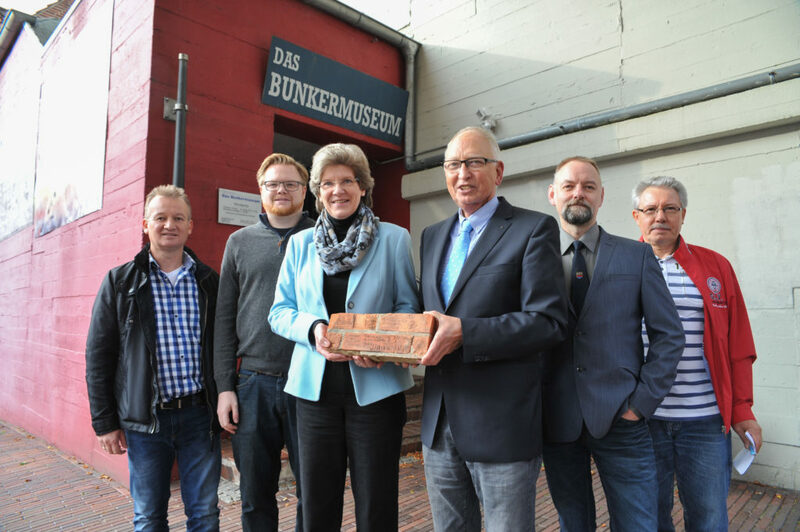 The Bunkermuseum received a special object in October. This red brick was created 72 years ago by a Ukrainian forced laborer. He has engraved his name, his home village, and the year of his birth in the still soft stone. The clinker had previously been installed in the outer wall of the magazine building of the water and shipping office in Emden. When the house was demolished, this stone was discovered and handed over to the Bunkermuseum. The stone will find a new home in our exhibition. For further information on stone click here.